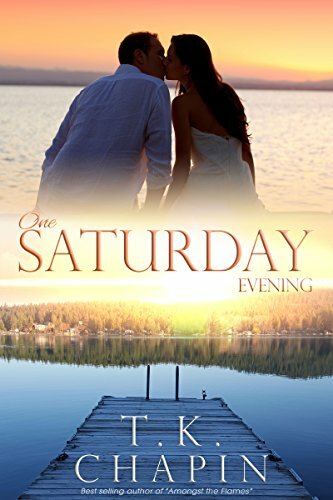 One Saturday Evening by T.K. Chapin is a contemporary Christian romance. It is the third book in the Diamond Lake series but can be read as a stand-alone. As with all T.K. Chapin’s stories, it is packed full of godly themes and has God at its heart. The novel is about letting go. Letting go of the past. Past hurts need to be left behind in order to move towards the future. The theme of forgiveness links in to this. God has forgiven us and we need to forgive others. If we don’t then we are ruining our future by letting bitterness and anger dwell in our hearts.